Data is critical to the entertainment industry and not taking advantage of it can keep you from creating great experiences and delivering the right content to partners. And, more than that, it can make it hard for you to optimize operations, get insight into the content’s value and stay ahead of the many changes in how content is created, consumed and monetized. However, even with the new digital tools in production, there are many challenges to making use of this data. 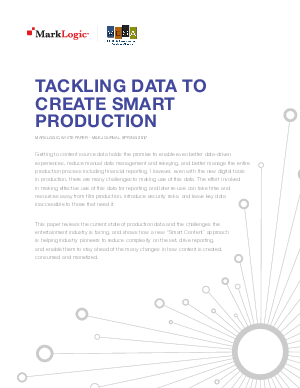 The effort involved can take time and resources away from film production, introduce security risks, and leave key data inaccessible to those that need it.